[PDF] The Cookbook Library: Four Centuries of the Cooks, Writers, and Recipes That Made the Modern Cookbook | Free eBooks Download - EBOOKEE! 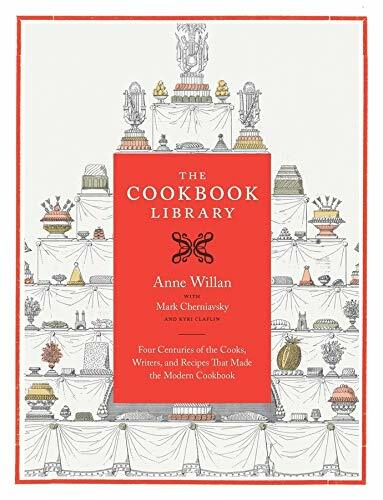 Description: This gorgeously illustrated volume began as notes on the collection of cookbooks and culinary images gathered by renowned cookbook author Anne Willan and her husband Mark Cherniavsky. From the spiced sauces of medieval times to the massive roasts and ragouts of Louis XIV's court to elegant eighteenth-century chilled desserts, The Cookbook Library draws from renowned cookbook author Anne Willan's and her husband Mark Cherniavsky's antiquarian cookbook library to guide readers through four centuries of European and early American cuisine. As the authors taste their way through the centuries, describing how each cookbook reflects its time, Willan illuminates culinary crosscurrents among the cuisines of England, France, Italy, Germany, and Spain. A deeply personal labor of love, The Cookbook Library traces the history of the recipe and includes some of their favorites. No comments for "[PDF] The Cookbook Library: Four Centuries of the Cooks, Writers, and Recipes That Made the Modern Cookbook".